Early 2013 has seen Yamaha CL series digital consoles in demand for work in sub-zero temperatures. 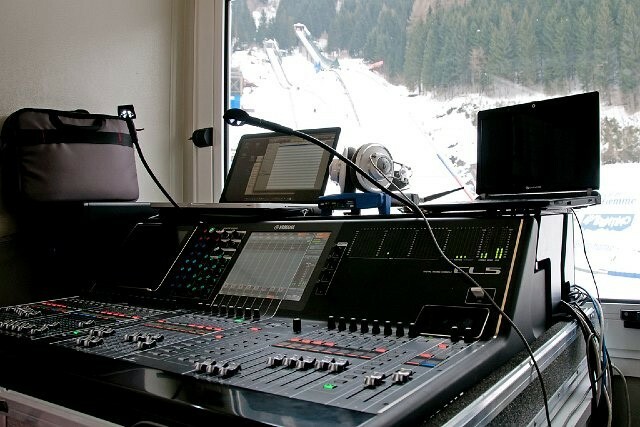 As well as featuring in the broadcast facilities at the Alpine World Ski Championships in Austria, the 2013 FIS Nordic World Ski Championships saw CL systems deployed as the main mixers for the event arenas. The championships were held in northern Italy’s Val di Fiemme, with the audio infrastructure supplied by rental company Jam Session. "We were considering new digital consoles for our rental stock and particularly for the Nordic World Ski Championships. After looking at both the digital mixers and audio networking currently on the market, we felt that the Yamaha CL series was the best for our needs," says Jam Session’s Michele Garbari. "Dante can also manage extremely complex network situations which would require a much bigger investment using any other system." The Cross Country Centre at Tesero-Lago hosted the cross country skiing and race elements of the Nordic Combined event, where Jam Session had to cover an area one kilometre long. Jam Session’s technical manager at the venue was Michele Garbari, who says, "We had loudspeakers installed throughout and it would have been very difficult to configure the system by any other way than Dante. It made it remarkably quick and easy." A CL3 was installed in the Centre’s control room with a range of audio signals routed through it. 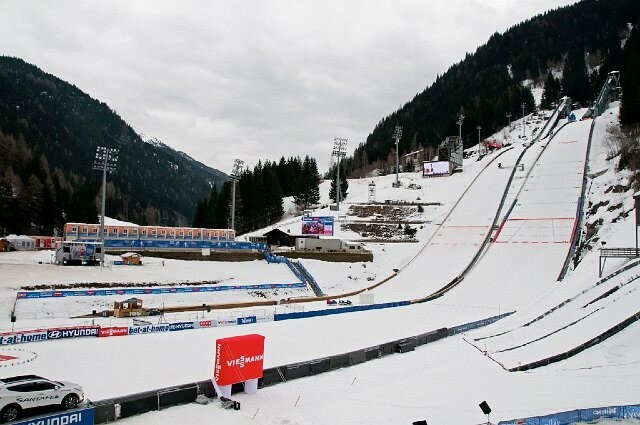 These included output from a broadcast studio for the International Ski Federation (FIS) broadcast host and guests, background music and announcements, audio for the pre-race warm-up, interviews with competitors and contributions from national broadcaster RAI. Outside on the course, three Rio1608-D were distributed to manage 48 loudspeakers, with audio routed from 24 different outputs, each with its own delay. "The arena had Cat6 cable installed throughout with full redundancy - this turned out to be indispensable as a network cable was sliced ? ?in half during the event," says Michele. "The Rio units were out in extreme conditions - temperatures were always below 0º C and the relative humidity was near 90% - but they worked perfectly at all times." Predazzo’s Stadio del Salto - a modern, permanent ski jump arena - hosted the ski jumping competitions and that element of the Nordic Combined. Here a festival-style stage was used to entertain the crowds between the events and each jump. Jam Session’s Jonni Pellegrini was technical manager for this venue, where a Yamaha CL5 console with MY8-LAKE interface and Rio1608-D and 3224-D i/o units were used with a main PA and complementary distributed loudspeaker system throughout the audience areas. Covering an area of approximately 200 x 200m, the system limited the volume of the main stage when the competitors were ‘in-flight’, while maintaining high intelligibility and ensuring the sound to the ambient microphones for broadcast was not compromised. Alongside Michele and Jonni, Jam Session owner Mauro Lusuardi and technical staff Michele Facchinelli, Gianluca Ferrari, Matteo Ischia and Luca Raffaelli ensured that the audio infrastructure performed flawlessly. Thanks to the reliability of the Yamaha equipment, this was easily achieved. "400,000 people attended the 12 day event, so reliability was crucial," says Michele. "We were very happy with the choice of the Yamaha CL systems, which demonstrated their quality, flexibility and reliability in very difficult and demanding conditions. "The ease of networking and daily installation/removal of the Rio units was excellent, while quick changes to the setup as daily demands dictated were very straightforward. The feeling and operability of the consoles were better than every other digital console we considered and we are also very enthusiastic about the Premium Rack effects. "We also want to thank Sandro Chinellato of Yamaha Musica Italia for the valuable support and assistance he provided throughout the event."